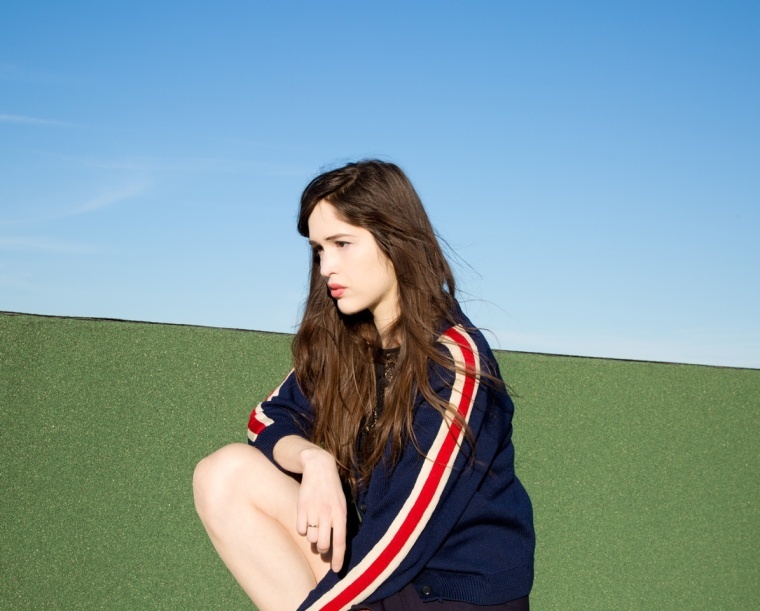 Hear “Good Vibes,” a song from her new record Adieux Au Dancefloor. 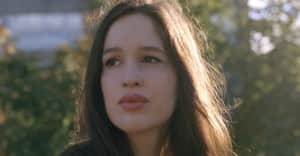 Today, Marie Davidson released the physical edition of Adieux Au Dancefloor, her third solo album, on the Cititrax label. It's her second standout release of 2016—in Essaie Pas's new LP Demain est une autre nuit, she and Pierre Guerineau explored the chilliest polarities of disco and synth-driven pop, like Chromatics with a numbed affect and more arpeggios. Although the work she produces under her own name leans noisy and grim (check out last year's Un Autre Voyage), the Montreal musician — currently a participant at the Red Bull Music Academy in Montreal — has never shied away from accessibility. "Good Vibes," a track from Adieux Au Dancefloor premiering today on The FADER, is as close to a minimal dance jock jam as you're ever likely to hear. Keep the good vibes coming, Davidson repeatedly encourages throughout the song, her lyrics switching from coy to indignant to fearless; she refuses to be as robotically sequenced as the instrumentation behind her, and gives an intriguing color to the track. The FADER spoke with Marie over email about the grim circumstances that led to the creation of her new album, why she chose to embrace dance music, and the trappings of technology. Describe what your life was like when you started creating Adieux Au Dancefloor. I started working seriously on that record last fall when I came back from Berlin. I went on a European tour with Essaie Pas and was also playing solo gigs for 4 months. I had spent the whole summer in Berlin, and already started to think about themes and song concepts for an album called Adieux Au Dancefloor (which means "farewell to the dance floor") during my stay in Europe. Those ideas came out of a fascination for dance music and club culture as much as a disgust from it. Touring and playing live late at night can lead to destructive habits and behaviors. I decided to take the negative energy I had gathered in me to make something creative. Why did you decide to go in a dancefloor-oriented direction for this record? Mostly playing live. I noticed that people love upbeat music. It has a big impact on them, whether it's joyful or dark. They get excited by rhythms, fast pulsations. Dance music also has the power to get people to connect together without having to talk because of something called groove. I was curious to know if I could make it happen, so I tried. You said in 2015 that you don't have a computer, but feel tempted by the power of the internet. What kind of relationship do you have with technology today, and how does it affect your music? What are your thoughts on the presence of technology in our lives in 2016? Until last week I still didn't own a computer, I just got one because I am interested in learning how to use Ableton Live. The reason why I got a computer is purely musical. I don't get a kick out of looking at a screen. I guess I'm old fashioned! I took a three-month break from Facebook this summer and it was great, I recommend that everyone try it. I am fascinated with technology, but I also find that it makes all of us more isolated. I like to talk to people face-to-face, hear the sound of their voice, feel their souls. You can't feel the soul of anybody through a screen. How has the Montreal experimental scene changed since you started playing shows and releasing music? I think it's getting better and better. I mean, it could be even better, there is always a need to improve but honestly I appreciate Montreal's scene. A lot of great musicians there like Ginger Breaker, BABI AUDI, Bataille Solaire, Jesse Osbourne-Lanthier, GRKZGL, FDG, Pascale Projet, Pelada, Solitary Dancer, Adam Feingold... just to name a few. What was the most valuable lesson you learned making this album? Working with Pierre Guerineau is always inspiring, I learn a lot from him, he co-produced this last album with me and got me interested in using a computer for my music process. We also co-wrote the title track "Adieu au Dancefloor." Adieux Au Dancefloor is out now on vinyl via Cititrax, with a digital release coming soon.